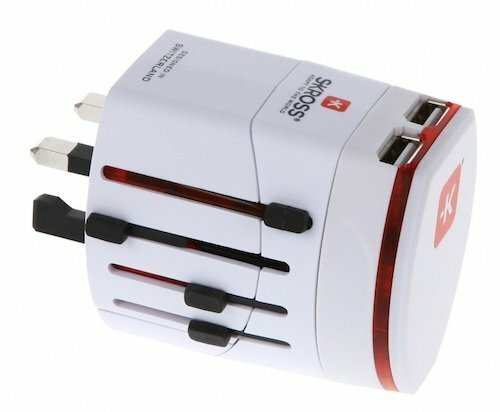 Charge your electric and electronic deviceswherever you are in the world thanks to the MPC-N2.2B international adapterfrom SKROSS. The MPC-N2.2B is compatible with 3 pinplugs, European plugs (Schuko France and Germany), Italy,Switzerland, USA, UK and Australia/China. With a Schuko adapter and 2 USB ports (forcharging mobile phones, digital players etc. ), this compact adapter is thesmallest and most reliable of 3 pin international adapters on the market.